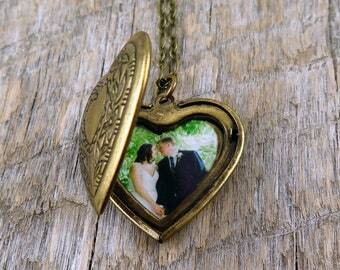 A large vintage heart shaped locket that opens to hold 2 photos! Locket is circa 1970s or earlier. Has a beautiful textured pattern on front and back. 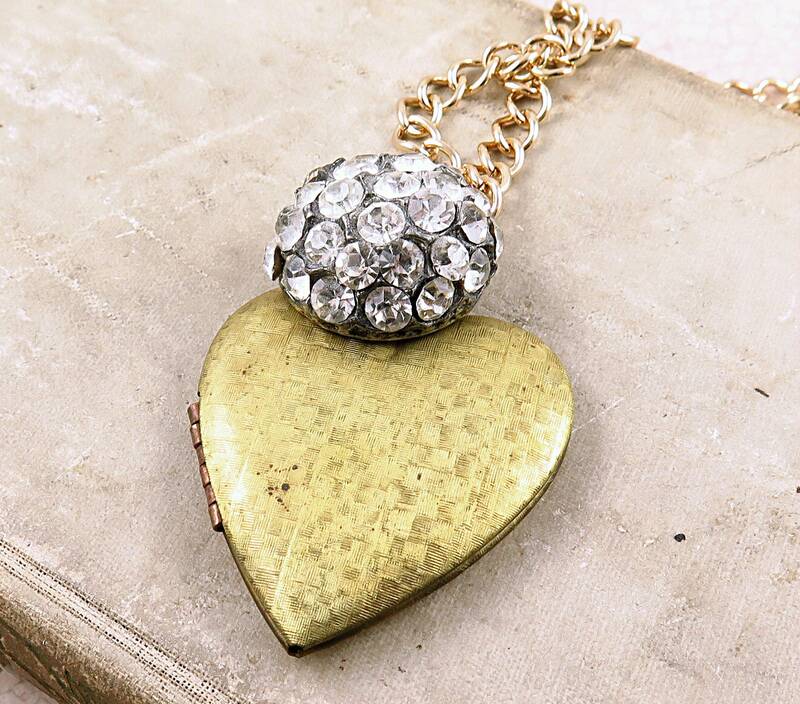 I added a vintage rhinestone button to the front of the locket to give it a bit of sparkle and interest! 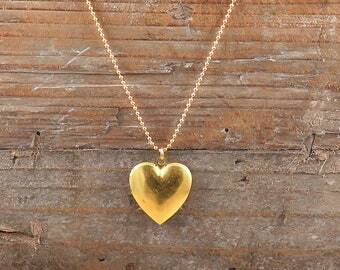 Hangs long on a gold plated large link chain. 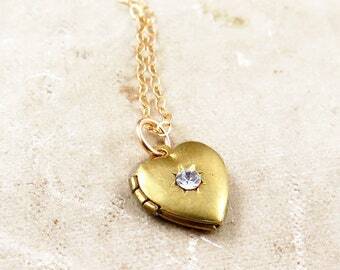 Please note vintage means old and loved! Please take good care of your vintage pieces! No swimming, bathing, working out, etc. when wearing my jewelry.